RIP: Irving Sandler (1925-2018) — TWRKV. Irving Sandler, the historian and critic, died on Saturday, June 2 in Manhattan. He was 92. To celebrate this life and work, we are publishing the first to two interviews Irving Sandler conducted with Jack Tworkov in August 1957. First published in Jack Tworkov: Accident Of Choice: The Artist at Black Mountain College 1952, it is made available here with minor adjustments in punctuation and spelling to aid readability and reproduced with permission from The Getty Research Institute, Los Angeles (2000.M.3). Conversation with Jack Tworkov on August 11, 1957 at his summer home in Provincetown. JACK TWORKOV: I took part in a Club forum right after Hess’ book was published. [i] Hess did not use the term “Abstract Expressionism,” but at the Club we discussed the term and the group that was developing. Hess included such diverse painters as de Kooning, Rothko, and Reinhardt in the group. I disagreed. Later on, Hess recognized the distinctions but at the time he thought that the artists were abandoning him. Since then I haven’t seen too much of him (1952). Before then we were friendly and he like my work. 1949 was the year when the idea of a group crystallized. For me anyway. I was aware of such a crystallization of ideas in that year. Egan came into being in 1946. I had a show in 1947, de Kooning in 1948, Kline in 1949 or 50. [iii] In the meanwhile Pollock was having shows at Parsons. By 1949 you began to see that there was something going on. IRVING SANDLER: What was the role of the Club? JACK TWORKOV: It's hard to describe the role of the Club. It started at the Waldorf. The artists met late at night because they painted at night and met when they were through. We wanted to get out of the Waldorf and this caused the first idea of the Club, a place to meet every night for coffee, but it didn't work that way. The Club was preceded by the Motherwell School where they ran forums. [iv] One of the most exciting talks was given by de Kooning. Then the Club took the forums over. The accumulation of shows after the war created the group. There was suddenly hope after the war. People suddenly began working hard. From 1941—2 to 1945 I didn't paint at all and many of the artists were in the same position (B. Greene, McNeil). They were at war or in defense plants etc. I began to paint around 1945 and exhibited in 1947. This was typical of many guys. It was the shows at Guggenheim, Parsons, Egan and Kootz that created real excitement. 1949 was for me the most exciting year. Suddenly you realized that you weren't talking to the same people that Picasso and Braque were talking to. Suddenly we realized that we were looking at each other’s work and talking to one another, not about Picasso and Braque. We had created for the first time an atmosphere where American artists could talk to American artists. In this country we couldn't see the roots and origins of French painting why bother too much with the results we got out of Paris. Suddenly what the guys around me were saying was important. This did not mean that we made a critique of French art. We suddenly stopped being interested in Paris and so stopped being provincial; we became interested in one another. This was the big change, but there was a change in emphasis as well. We were disillusioned with the Thirties, with big universal ideas, with Utopias, with save the world concepts (This is a very complex matter). We protested against all of the people who were protesting. We were sick and tired of people who lived protesting. After the war anything that was immediate and spontaneous was so much more important to me than any world in the future or any ideas about Culture. The war was over; people were beginning to live again. Of all ideas, anything that spoke of life was the most meaningful to me. This was part of the protest against organized painting. Even the Mondrian group was social conscious cast in terms of the future and concerned with the improvement of art, etc. We were against this and interested in life and immediacy. At this point automatic painting became important, but before we could see it properly it became a technique. Why it happened here and not in Europe puzzles me still. Possibly we were not as involved in the war, we didn't have as much to remake and so, were just left with spiritual work to do. We had every art influence here. But we looked at Cubism from the point of view of method, not intellectual origins; we did not share their intellectual life. All that we saw was a new way of making a picture, a method that we hadn't lived with and which therefore cause eclecticism. We missed the essence of Cubism and learned only its formal elements. We had nothing of the temper that produced it. Surrealism was similar in that it was a pot pourri (Marx, Freud, Jung, etc.) and we were not involved in such a heady mixture. Look at the blast that Futurism made in Italy. It was among other things an attitude to church and state and unless you shared in the atmosphere it became meaningless. The life of the artist here was different. He never was supposed to have an intellectual life (European artists have nothing of this idea). At one point we rejected all movements that we didn't share in intellectually. The Bauhaus struck a genuine note. It is really a bourgeois movement complete with efficiency, urbanism, planning, engineering and so it won a terrific hold here and was the one thing against which the artist could really protest—this bourgeois point of view. Ours was an expression against glamour of machine, planning, engineering and urban life—against clean surfaces. Our art expressed a desire for life on the organic level—either angry like de Kooning or quiet like Guston or myself. But Abstract Expressionism is also a city art. But it must thrive in a Bohemia, a Ghetto in the city against the city. We are exactly the opposite of Madison Avenue and as soon as Abstract Expressionism becomes structured—taught in the schools etc—it becomes sterile and finds itself in crisis and that is what is happening today. I now resent more than ever being in the movement because Abstract Expressionism is now a program, a way of painting. IRVING SANDLER: Was there a concern with existentialism? JACK TWORKOV: The Club had a few speakers on this subject. However, the people immediately around me didn't bother much with it. I, myself, was impressed with religious existentialism. I was against positivism. I wanted to be able to discuss further-to speak for God if I wanted to. The most important thing in the conversations then was to talk for yourself, not to quote other people. For a while in the Club people were telling you what they were thinking and not what they were reading. This made the Club exciting. People were giving their authentic ideas. They were speaking for themselves and this made the atmosphere intense and unique. In this sense a New York School did exist, but professionalism entered in and broke it up. People began selling pictures and competition changed all this. When Greenberg came on the scene, he had a couple of ideas, which need exploring for they may be the basis of an interpretation of what happened. These ideas should be challenged and refuted. He had an idea that we were moving away from and destroying the easel picture. This is not true and was a left over from his Marxist thinking where one considered easel pictures a bourgeois property. What he saw in Pollock's painting was the distraction of easel painting although I can't see it. What if they were dripped on the canvas on the floor; they were still not made for a specific place and were portable and this is easel painting. His idea that Modern Art had as its aim to push to the extreme—that art is tested by the extreme is a more valid idea, but I would not make it a program. I believe that any time there is a genuine beginning, then at some point it has to be extreme. The genuine beginning is made at the extreme. I question the character of Greenberg's thinking, his use of ideology in ideas like despoiling the bourgeoisie. This problem has many elements. An esthetics based on this idea would not result in much valid work because a deliberate striving for an extreme statement by itself would not produce valid art for this equates artists with stylists, with shockers. Much work doesn't engage my emotions. This makes the whole esthetic in painting the audacity to do what no one has done before; this takes very little risk. I associate big things and big emotions with art. Just audacity and impudence though interesting are in themselves not exciting for me. Art has more meaning and is not easy to invent. When you have an exciting art movement, you get exciting contributions from many sources. Pollock made a contribution, but his own painting, when thoughtful was better. Automatism was not new; Surrealism had it and so did Klee. There was a large amount of the mechanical in Pollock. Someone was bound to find that enamel falls a certain way and can be used. Still his best canvases were made. What was good in Pollock was the artist in him. I think that he saw nature and landscape in the swirls of his canvases. He loved nature and his work expressed landscape. He had independence of spirit; his attack was big as was his feeling for breaking out and the fullness of his gesture. I came to Abstract Expressionism rather slowly. I always felt that we were too remote from Europe to have any real contact with them or understand their context. I was not against them, but I didn't feel them. Almost in protest I leaned on [Karl] Knaths and [John] Marin who aside from a surface association with Cubism were native. So for a long time I practiced painting from nature, but organizing the picture on painting lives. This was the character of Knath's and Marin's best paintings. My introduction to Modern Painting came from Knaths here in Provincetown about twenty years ago, but formal, academic “laws” of painting, which were really based on Cubism, held him back. This was the nearest that I came to abstract painting. For a long time I felt that painting from nature was the freest approach to painting because you didn't have to invent or compose. You could paint freely. I wanted to avoid the Bauhaus methods of designing a surface. Painting from nature gave me the freedom in theme, the accident of choice. It leaves you free if you don't do the stupid thing of arranging. From 1945 to 1947, I really became interested in objects as a theme and I painted still lifes. I then painted landscapes to get away from the conventional ways of abstracting and making a composition. I wanted to get away from a set ready body of knowledge. I painted landscape for the same thing. I would get into the middle of a clump of trees—no perspective or view—and try to paint it. From still life to abstract painting I had an interval of landscape painting where I got on the track of true abstract painting away from the cubists or the surrealists (and their grotesque pictures). By purging abstract art of what it was supposed to be, I came to abstract art. De Kooning thought the same way, and that's why I was so close to him-almost a disciple. We hated the idea of what abstract art was supposed to be. Egan first wanted to show my abstract pictures, but I asked him to show the still lifes and since then I was treated like a Johnny-Come-Lately and this was a painful thing. It set back my painting career for ten years. There is a game in the United States-who came first? I was eager to paint still lifes and the figure because I was associated with artists who I knew couldn't. De Kooning did the same thing, but he was not attacked. Six months before his show at Egan he was painting figures. The Women were nothing new for him. My present ideas on my abstract paintings are a little involved. I never took the word "abstract" seriously. You paint pictures out of your life, and style develops in relation to your life. To this day pictures are not judged on their meaning, but on how abstract they are. Reinhardt's ideas to me are terrible-his philosophic absolute. This turns art into politics and philosophy not picture making, which is like poetry. Style and movement come after. 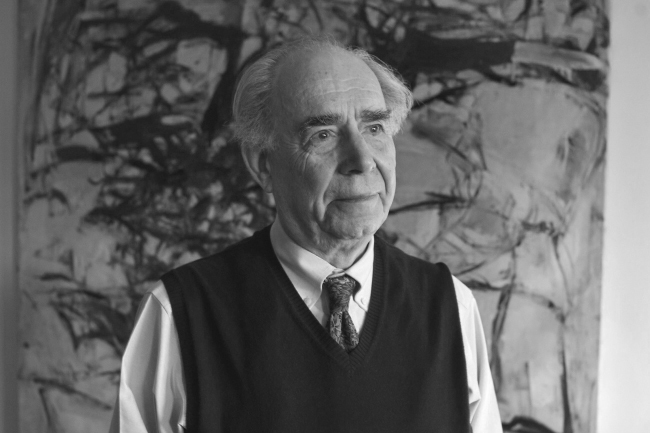 IRVING SANDLER: What is the relationship between Expressionism and beauty? JACK TWORKOV: [Philip] Guston's pictures are in praise for-for something. Why all the damned anger which by now has become a cliché. To be always against is spiritually very empty. We must find out what we are for. This may be the problem for Abstract Expressionism; maybe we are out of the period of violent protests and will have to say what we are FOR. [i]Abstract Painting: Background and American Phase by Thomas B. Hess was published in 1951. The panel Tworkov refers to was held on January 18, 1952, on the subject of Expressionism. Other panelists include William Baziotes, Philip Guston, Thomas B. Hess, Franz Kline, Ad Reinhardt, and Harold Rosenberg as moderator. [ii] The term Abstract Expressionism was first used in connection with Kandinsky in 1919, but more commonly associated with post-war American art. Robert Coates, an American critic, coined it in 1946, referring to Gorky, Pollock and de Kooning. By the 1951 Museum of Modern Art exhibition 'Abstract Painting and Sculpture in America', the term was used to refer to all types of non-geometric abstraction. [iii] Franz Kline’s first one-person exhibition in New York opened on October 16, 1950 at Charles Egan Gallery. 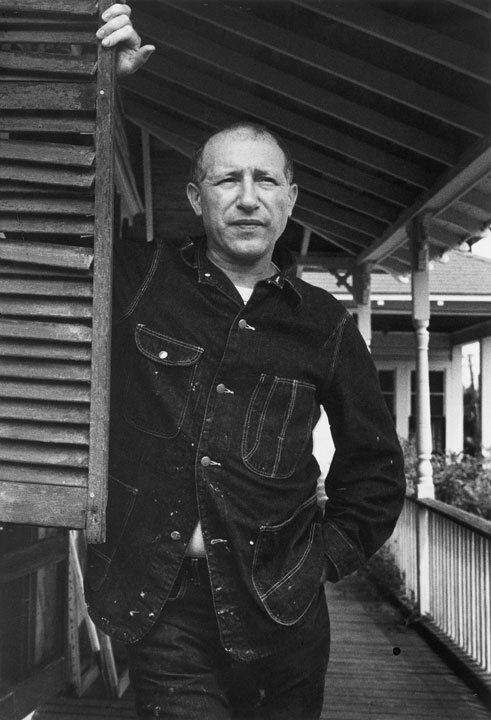 [iv] In 1948, painters William Baziotes, Robert Motherwell, Barnett Newman, and Mark Rothko cofounded the school called Subjects of the Artists. Open sessions and lectures where held at 35 East 8th Street. While short-lived, the forum was continued by Studio 35 (held at the same location) and later succeeded by the Eight Street Club.